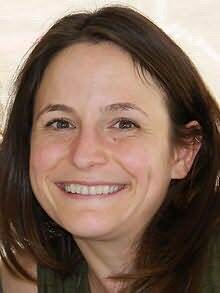 Karen Russell born in Miami, Florida is an American novelist. Her debut novel, Swamplandia!, was a finalist for the 2012 Pulitzer Prize for Fiction. No prize for fiction was awarded that year. Baileys Women's Prize for Fiction Best Book nominee (2011) : Swamplandia! Pulitzer Prize for Fiction Best Book nominee (2012) : Swamplandia! International IMPAC Dublin Literary Awards Best Novel nominee (2013) : Swamplandia! "Katie Arnold-Ratliff writes sentences that have the luminous candor of X-rays, laser-traceries of the human heart." "One of the bravest and most beautiful books I have ever read." "The Uninnocent is a masterpiece of empathy and of storytelling. I love this chapel of unholy stories with their charming, monstrous, wholly sympathetic characters." "A profound and timely meditation on the desire for justice, retribution, and redemption. This book is unputdownable, wise, and unbelievably generous." "Thrill Me practices what it preaches-it's a craft book that is also a thrilling read." "Funny and fast-paced and extraordinarily insightful on every page . . . Anyone lucky enough to get roughed-up by Grodstein's devastating, fearlessly honest, often hilarious, gorgeously written novel will exit it changed." "Goofy and profound, lyrical and exhilarating...a thrilling, rocket-fueled debut." "A love song to the living world, this shimmering, intricate web of a book is going to capture hearts." "A Place for Us is a triumph and an inspiration. I wish everyone would read this novel. A chronicle of the shattered expectations and irreconcilable desires within an American-Muslim family, A Place for Us hums with a deep faith in an unknown future, reminding its readers that when we are lost, love gives us a map home." "Stephen Markley is an expert cartographer of the American Rust Belt and the haunted landscapes of his characters' interiors. A fast-moving and devastating debut." "Frighteningly powerful, beautiful, and uncanny, The Dreamers is a love story and also a horror story - a symphonic achievement, alternating intimate moments with a panoramic capture of a crisis in progress." "Seth Fried is a pure delight to read."